HAMBURG/BERLIN -- Volkswagen's labor bosses and top executives are making headway in talks to resolve a dispute over the implementation of a turnaround plan, both sides said, without elaborating. 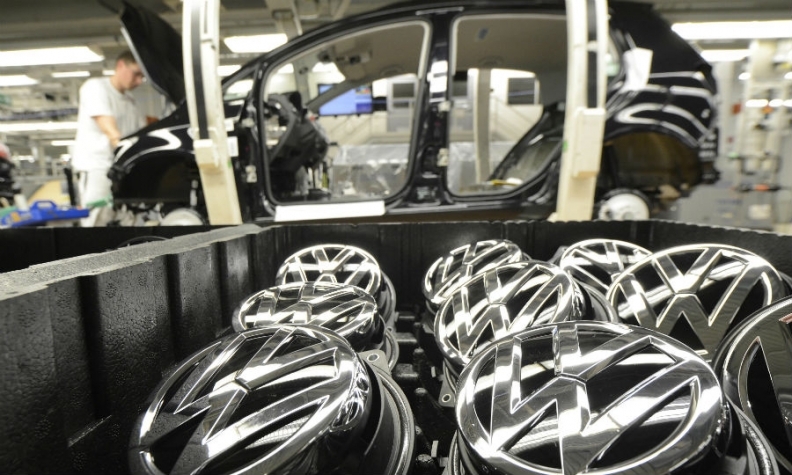 Labor leaders at VW earlier this month halted cooperation with management on issues including overtime work, efficiency gains and apprenticeships and accused executives of trying to squeeze greater savings than previously agreed. But the works council on Monday said the talks have led to early signs of how to overcome disagreement over how to implement the 'future pact' designed to raise profit at VW's core autos division, which accounts for almost half of revenue at Europe's largest automotive group. "Staff representatives are in constructive talks with top management on the open questions regarding the future pact," a spokesman for the works council said by email. Workers at VW's main plant in Wolfsburg employing about 60,000 people can expect more information at a staff gathering on Tuesday, he said, without being more specific. A company spokesman confirmed both sides were in constructive discussions as agreed under the future pact. Unions last week said VW brand CEO Herbert Diess, who established a reputation for cutting costs at BMW , sought to cut temporary workers more quickly and deeply than agreed in November. VW is having to trim high-cost operations in Germany to fund a strategic shift and shed costs after its diesel emissions scandal, which is costing it billions of dollars in settlements. The 'future pact' targets 3.7 billion euros ($3.9 billion) in annual savings by 2020 and foresees 30,000 job cuts at the VW brand without forcing layoffs until 2025.